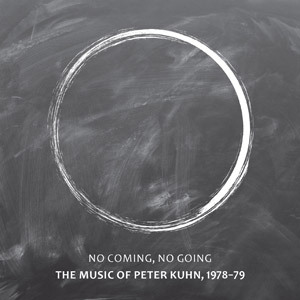 Saxophonist and clarinetist Peter Kuhn receives some much deserved attention on this two disc set which has a reissue of the out of print 1978 album Livin’ Right, plus a previously unreleased 1979 live session. The album has Kuhn in the company of Toshinori Kondo and Arthur Williams trumpets, William Parker on bass and Denis Charles on drums. "Chi" opens the album, with the band quickly moving out of the gate and then making way for an extended percussion section where Charles plays a variety of interesting rhythms before the full group coalesces and closes the piece. At twenty minutes in length, "Manteca, Long Gone, Axistential" develops a free suite like structure. There is some exciting freebop in the opening section, including some fierce growls and spritzes from the reed and brass. Rolling drums help the music to exhale to a slower and more open feel, marked by abstract smears of bass clarinet with dark and moody bowed bass. The full group rears back up in the final section, playing a strong collectively improvised section which also allows spots for a nimble bass solo framed by shrill trumpet and clarinet. "Red Tape" concludes the original album with some surging full band interplay featuring steaming trumpets, motoring bass and punchy drums. Kuhn's clarinet swoops and swirls in a nimble fashion, egged on by driving bass and drums. The brass returns, adding sparks of trumpet amidst subtle bass and percussion teamwork. The second disc is a live recording of a duet between Kuhn and Charles at the New England Repertory Theatre in Worcester, Mass. "Stigma" opens the set in a manner that is punchy, probing and even a bit funky. They develop a communication that is loud, raw and immediate, with bird call like clarinet in open space and then Charles responding with a cool and rhythmic pattern that gives the music quite a bit of dynamic tension. Charles is at the center of "Drum Dharma" and Kuhn switches to tenor saxophone and releases some stark cries. The understated but insistent rhythm Charles employs is very nice and Kuhn's reeds move in and around the percussion in subtle, shifting patterns. High pitched clarinet is offset by harmonious percussion in an interesting fashion as this improvisation ends. "Headed Home" closes this album with a very lengthy performance, opening with saxophone and drums rising to a scream in a powerful and exciting section, making for an excellent combination. Charles employs ever changing percussion techniques which develop with power and grace, and Kuhn's saxophone is strident in its approach before the music abruptly cuts off leaving the listener wishing for more. No Coming, No Going: The Music of Peter Kuhn 1978-1979.